Decorating for the seasons shouldn’t be stressful or difficult. 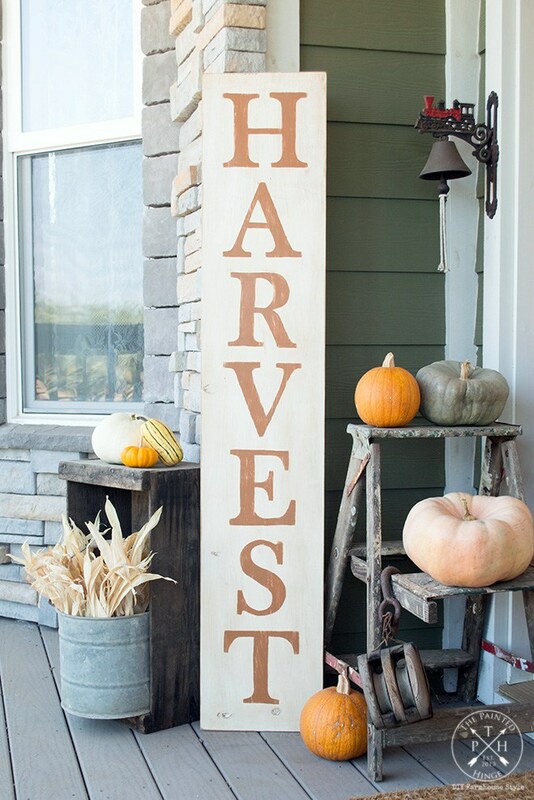 Here are twelve simple fall decor ideas that anyone can implement! Hi everyone! 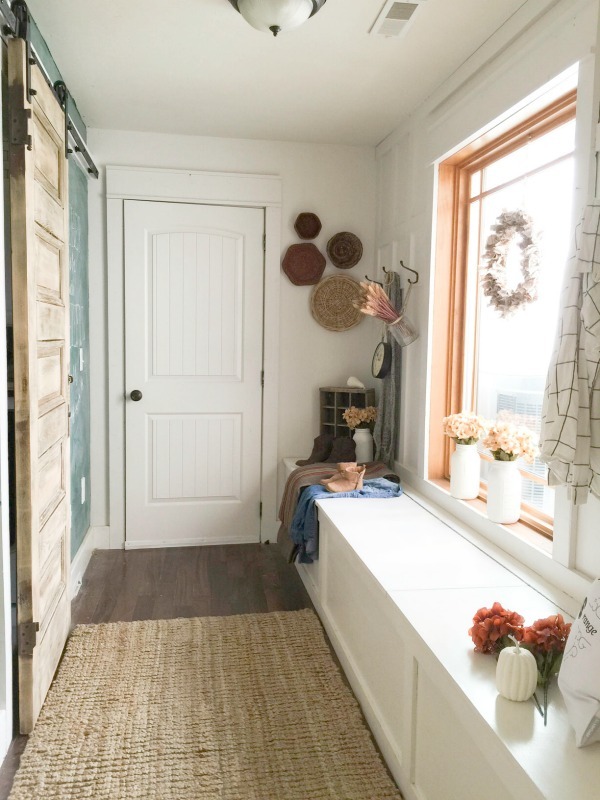 Bloggers have been linking up their fall ideas for several weeks, and I wanted to share some of their simple decor ideas and tutorials for you! 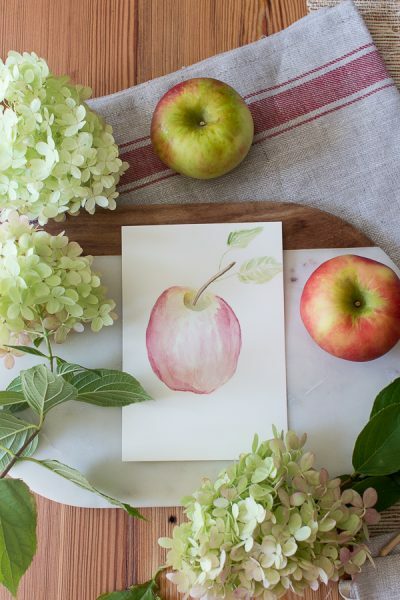 These ideas are created with everyday tools, and with minimal effort involved. 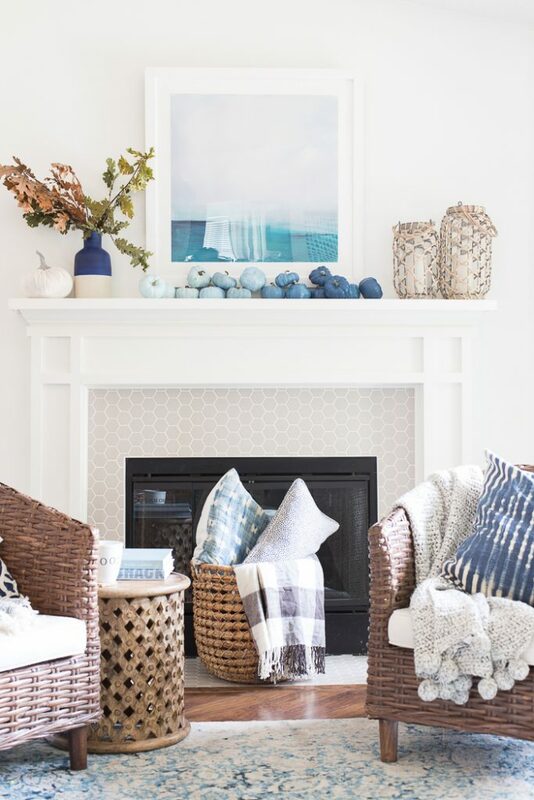 If you’re a busy person who loves decor, this post is great for you! Please click over to the blue/gray links to be taken directly to the source for further information. And as always, a special thank you to the bloggers who linked up their projects! If you’re a blogger and would like the opportunity to be featured, please stop by on Monday evenings for the Tutes and Tips Link Party. 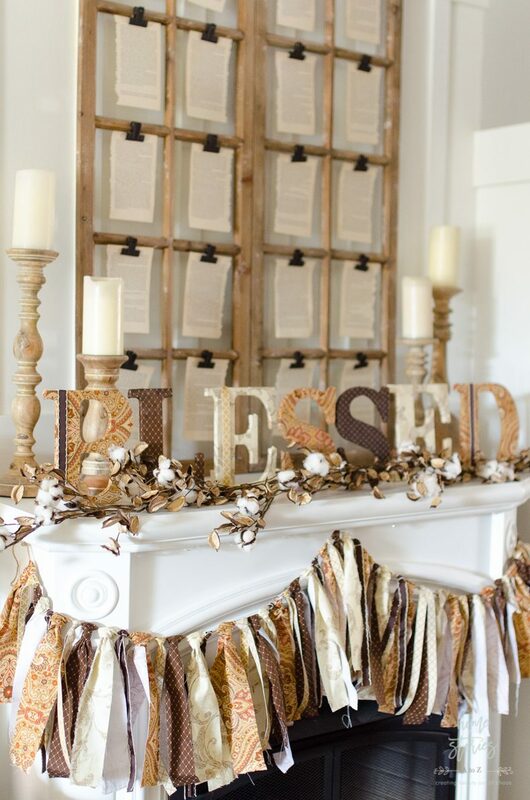 All you need to make this banner is strips of fabric and some twine. The tutorial for the covered letters is also included in the post! Gorgeous! Click and print at home! 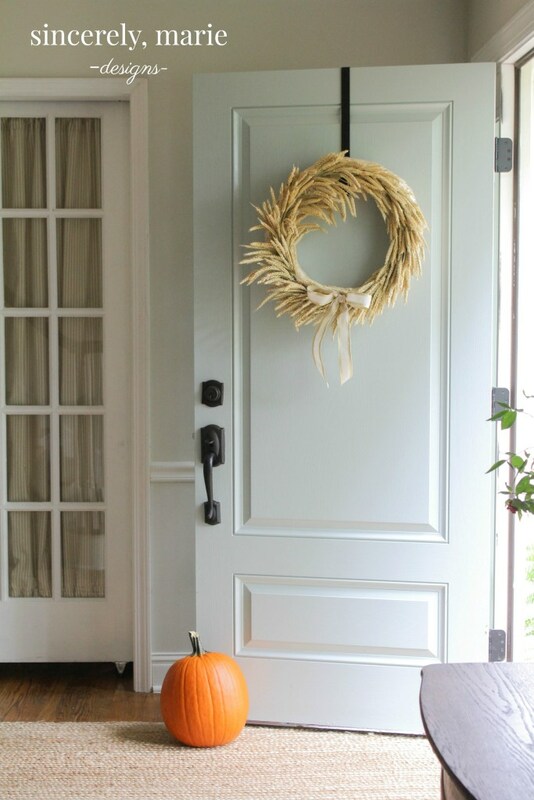 Hang a wheat wreath for a simple, yet beautiful fall touch to your door. 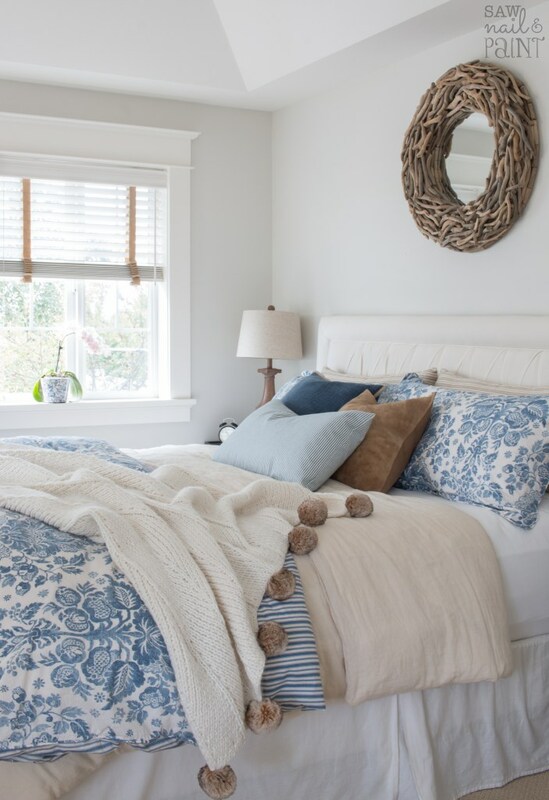 Add a cozy throw to extend your summer bedding into the fall season. Print these tags, cut them out, and attach with some ribbon! 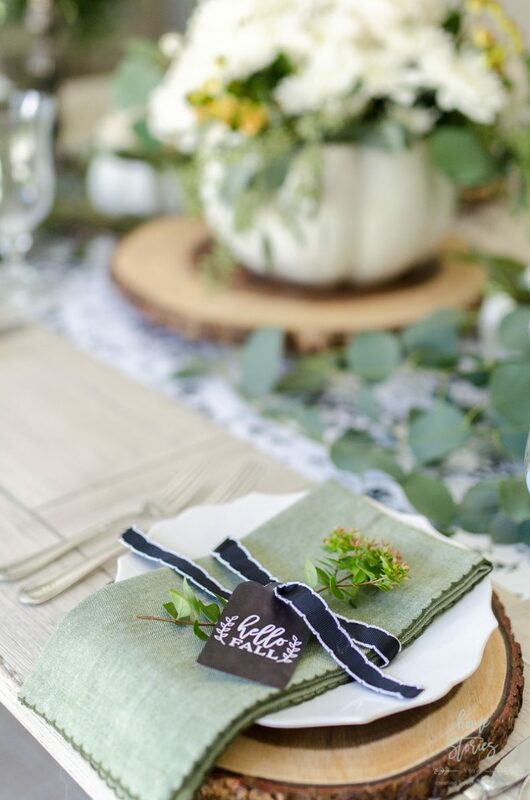 Your guests will be impressed, and it is so easy and cute! 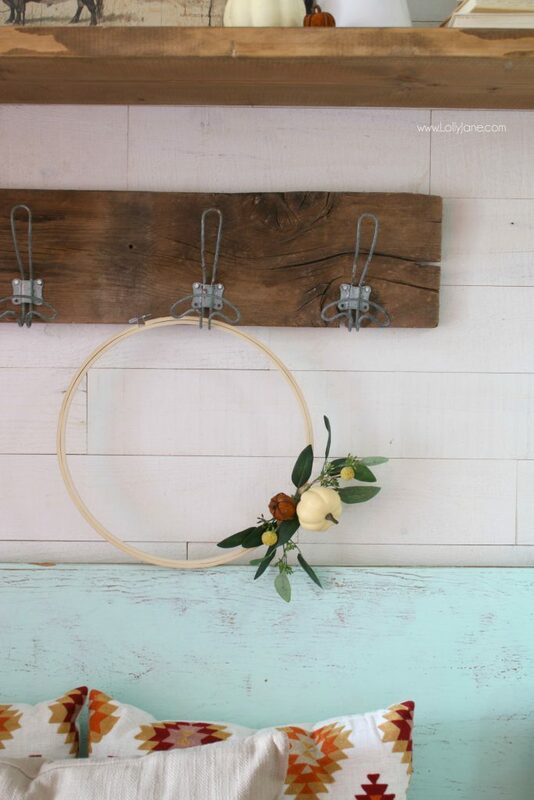 Hoop wreaths have been so popular this year! If you can work a glue gun, you can make this beauty! 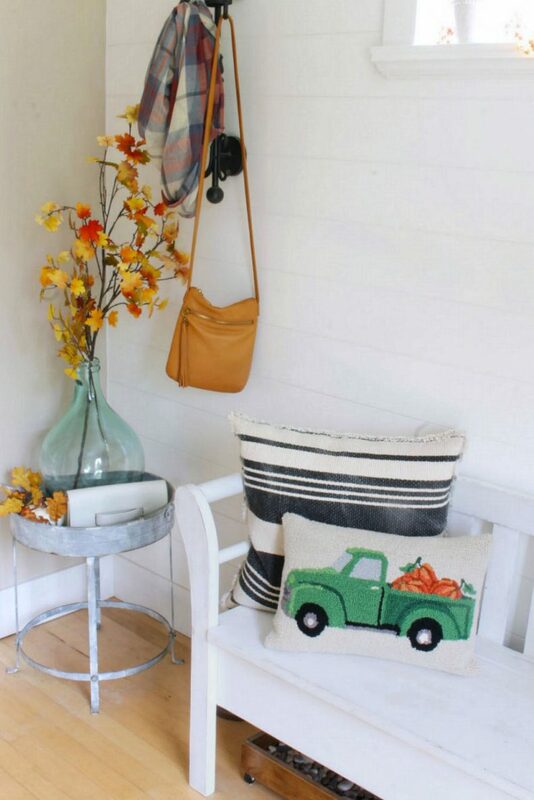 Borrow some items from other rooms in your home to create a pretty entryway. Most of us have extra handbags and scarves that need a new home! Dressing up a classic bench is easy with a free printable! 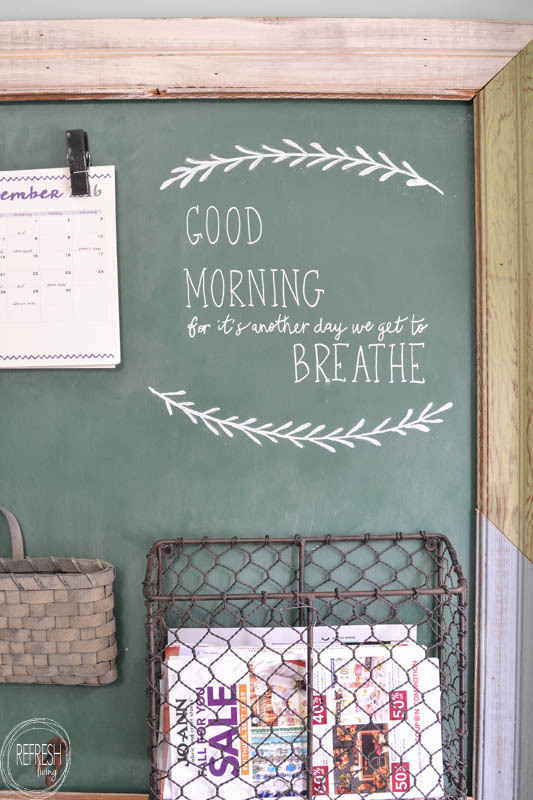 Adorable sign that you can use year after year! Click over for the easy tutorial. Use your current color palette and paint some pumpkins to match! 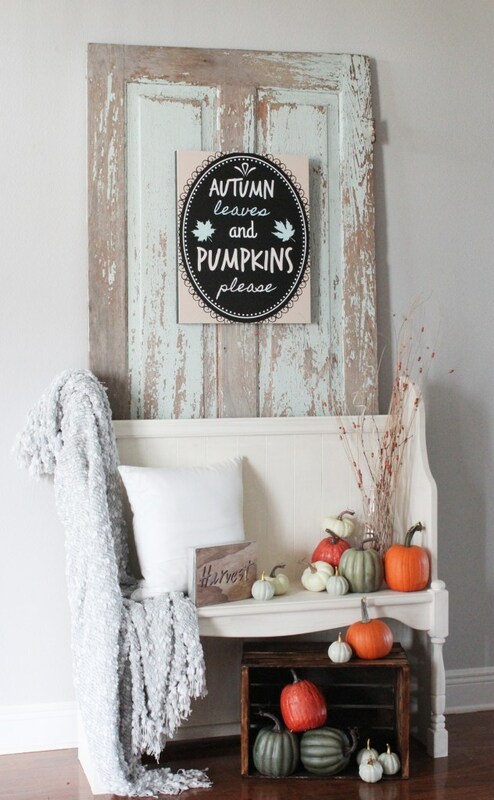 I love this simple mantel with hombre pumpkins. This tip makes writing beautiful letters a breeze! Wonderful and inspiring ideas! All are lovely but the wheat wreath is my favourite – simple and very beautiful.